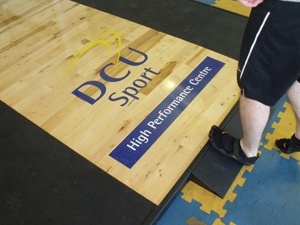 DCU High Performance Centre have developed a program for Barefoot.ie which aims to improve an individuals functional movement capabilities during barefoot exercise. At present most people wear overly structured shoes that in many instances do not allow the lower limb joints to function correctly and in turn these joints may be placed under excessive stress leading to discomfort, pain and often injury. Our programme will outline a step-by-step process whereby any individual can improve their functional movement ability through a series of mobilisation and strengthening exercises. 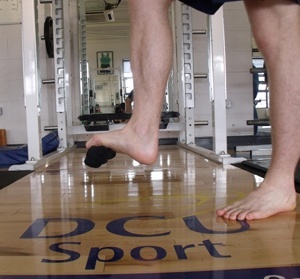 As the functional ability of most peoples feet is severely lacking; mobilisation and strengthening exercises for feet will be at the forefront of the programme. 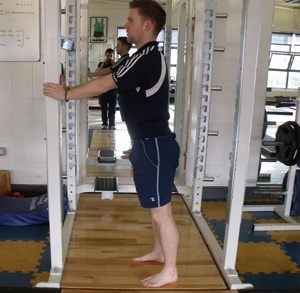 However, exercises will be incorporated for the full lower limb kinematic chain. The programme objective is to enable individuals to run 5km with the correct functional form and pain free running. The program with last for 12 weeks with each step taking 2 weeks. We will be introducing this program in the next few weeks beginning with step 1. 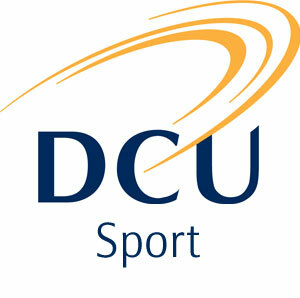 We will be announcing the first step on our Facebook page, so be sure to click 'Like'. 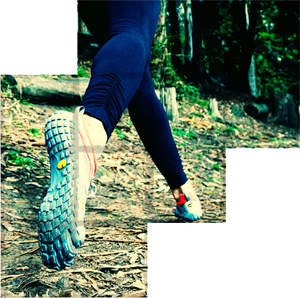 When you begin to run barefoot you will be engaging muscles, tendons and ligaments that have under utilised for some time so it is important to take time to improve the flexibility and mobility of our feet and lower limbs. The Stretching and Mobility exercises in Step 1 are an important part of barefoot running and will be the beginning of each step as the program progresses. Go to Step 1. Continue to apply the exercises learned in Step 1 and add the following foot strengthening exercises. Foot strength is a vital component to Barefoot Running so it is important to take your time and learn these fundamental exercises. Movement is introduced in Step 2 however it begins slowly with a combination of walking and short jogs. Go to Step 2. Continue to apply the Strengthening exercises and add the following whole body movements to help to increase overall athletic movement capabilities. 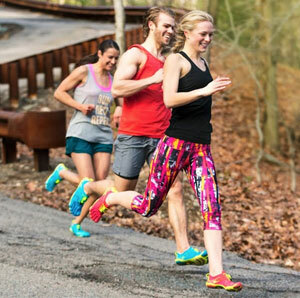 Running/Walking routines continue with the ratios of running to walking increasing as well as the overall duration. Go to Step 3. Similar to Barefoot Running Step 3 however you should feel more comfortable moving Barefoot. Continue to apply the Strengthening exercises and add the following whole body movements to help to increase overall athletic movement capabilities. Running/Walking routines continue with the ratios of running to walking increasing as well as the overall duration. Go to Step 4. 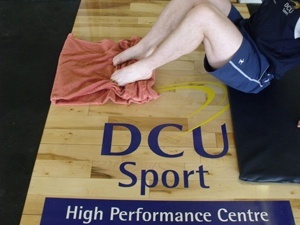 At DCU Sport our state of the art High Performance Centre is designed to assist elite and developing athletes by providing effective solutions to their every training need; thereby helping them to achieve their individual targets through sports specific training. 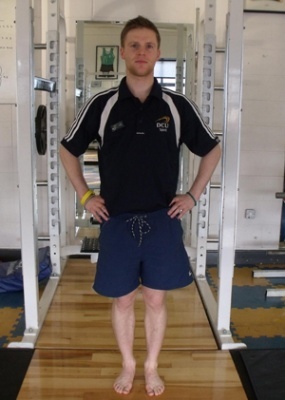 A team of full time strength and conditioning coaches and athletic therapists are available to cater for all you prehabilitation, rehabilitation and sports performance enhancement needs. From the elite internationals to recreational club teams the High Performance Centre's aim is to further develop our current elite athlete profile while staying true to our "Sport for All" policy by catering for the keen amateur sportsperson. Why? To maintain or improve joint flexibility. How? Hold stretches at a point where you can feel tension or a ‘stretch' on the muscle but don't push so far as to cause pain. Hold stretches for 30 seconds. Prerequisites: 5+ minutes light aerobic activity to warm up muscles - for example walking, very slow jogging, walking up and down stairs. The glute muscle is located at the rear of the bum. Standing on one foot pull opposite knee into chest. Keep back straight and chin up. This could also be done lying on your back if you find balancing challenging. A second glute muscle is located at the side of the bum. Place right foot on left knee, hands behind to support with back straight. Bring left knee and right foot in towards body to feel stretch at the right side of glute muscles. 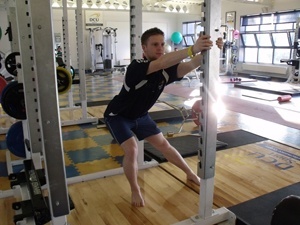 Hamstring muscles extend from below the bum to the back of the knee. 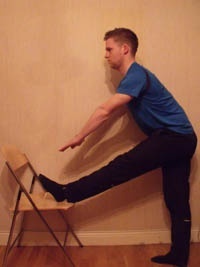 Place one foot on a chair or low bench, keep leg straight and reach down to touch toes with fingers. Avoid curving spine by keeping shoulders back, back straight and chin up. Groin muscles extend down the inside of the leg to the knee. 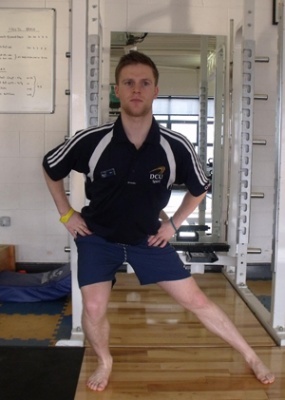 Adopt a wide stance with both feet pointing forwards. Lean to one side by ‘sitting' into supporting leg and feel stretch on the inside of non-supporting leg. Put hands out if you need to in order to maintain balance. Calf muscles extend from the back of the knee to the back of the ankle. Lying on back hold a towel or stretching rope around foot and pull in. Bend other leg up to help keep back flat on floor. The Quadriceps extend from the from the hips, down the front of the leg to the knee cap. Pull foot up behind close to bum to feel stretch on quad muscles. 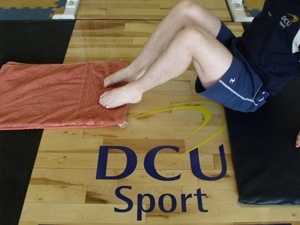 Ensure you use right hand for right leg and left hand for left leg so as to avoid twisting of the knee. If needed place hand on a wall or training partner to support. Place foot in a box of rice. Contract muscles of the foot to ‘grab rice'. This can also be done using sand or grass. 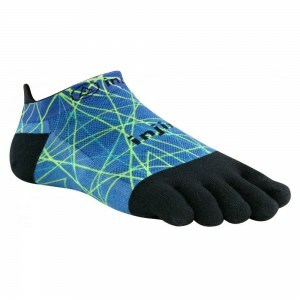 Here you are trying to improve the foot's feel by opening and closing the toes on something tactile. 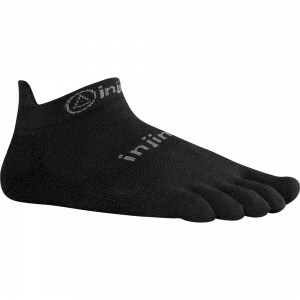 Spend 30 seconds on each of the forefoot, midfoot and heal. Place foot on a low step or preferably a ramp. Rock knee over toes and back in a slow steady motion. Use supporting leg to support your weight. 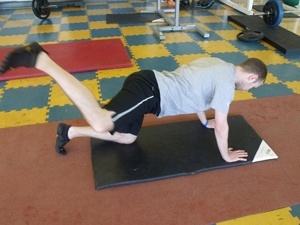 Start on all fours, hold core muscles in. 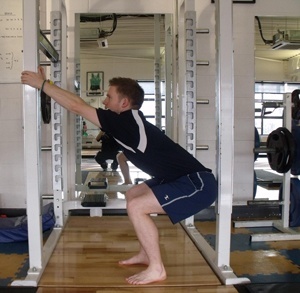 Lift one knee and internally rotate for 6 repetitions left and right. Externally rotate for 6 repetitions left and right. 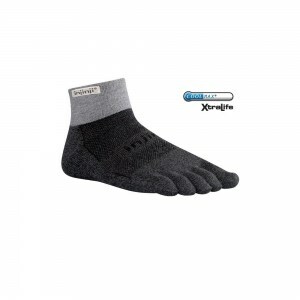 Start off walking at a brisk pace in Vibrams or barefoot for an initial period of 15 minutes three times per week in week 1 and 20 minutes three times per week in week 2. 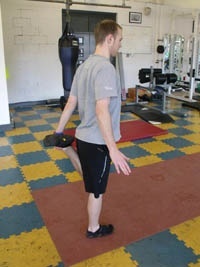 Walking may be done on the same day as the stretching/ mobility but it does not have to. However, it is suggested that you use the walks as a warm up for the stretching routine. NOTE: This can all be done at the beginning of a normal run, so that it doesn't interfere with your normal schedule, just switch back into your normal shoes after you have finished the VFF part. 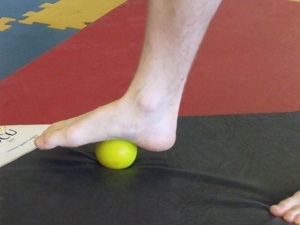 Use a tennis / golf ball to ease the bottom of the feet, peronials and calf. If the tightness remains, ease off from wearing the shoes for a day or two. Keep stride as short and busy as possible (180 steps per min). Run AS LIGHT AS POSSIBLE. Land on the ball of the foot, and then let the heel contact the floor. Keep your hips forward and back straight/head up high. Include some completely barefoot work whenever possible.